Explicit Yes But Why ep 149 Irene White is a woman who gets it done! 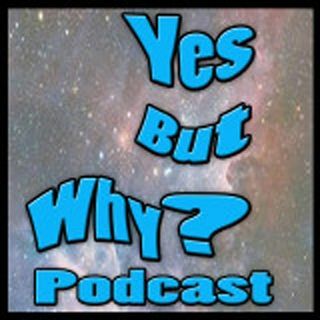 This week, Yes But Why Podcast is proud to present Irene White. You recognize Irene from a hundred roles you’ve seen her play (she played Chandler Bing’s secretary once) but most recently you know her from her recurring role of “Carol” on Superstore. This is a great interview for anyone considering a career in acting. Irene has been a working character actor for many years and she owes this consistency to her friendliness and her work ethic. Irene also shares what she thinks are the keys to ... See More success for any actor. In this cathartic conversation, Irene and Amy bond over their shared love of scheduling and hustle. Irene is the kind of performer who works hard everyday for the roles she gets and she loves every minute of it. Irene tells Amy stories of her beginnings as an improviser at Second City in Chicago as well as her short stint in the Austin improv scene at Coldtowne Theater. Enjoy this conversation!